Time for some straight shooting and honest talk from President Bruininks? U of M President Robert Bruininks said talk of delaying the "Troubled Waters" documentary, which he admits should have been handled and communicated differently, never threatened academic freedom. "That was never at risk and never at stake," he said. "As the facts surrounding the production of the film have become clearer, it was readily apparent to me that this is an issue of academic freedom; as a result, we immediately resolved to show it as planned." Perhaps after the public flap over Troubled Waters the U of M administration will start paying more than lip service to rules and regs? Those who participated in the development of the University-wide Conflicts of Interest Policy created a separate document incorporating virtually all of the standards that will govern faculty and staff involved in clinical health care, titled Individual Conflicts of Interest: Clinical Health Care – Patient Contact in the Academic Health Center. This document supplements the University-wide policy and therefore is referred to as Appendix A. In early July, I met with AHC leadership, disseminated Appendix A, and asked that they seek input from their respective colleges and schools. I met with this group again in late July and received their support for the implementation of the draft document. Appendix A was then disseminated widely within the AHC in early August as a final document. Since then, Lynn Zentner, Director, Office of Institutional Compliance, and I have received feedback indicating that many of you did not have an opportunity to review and provide feedback before Appendix A was considered to be in effect. During a recent meeting that Lynn and I had with members of the AHC FCC, attendees requested that the document be posted for a 30-day comment period. We agreed to do that. Appendix A will be posted at http://policy.umn.edu/User/POLICIESREVIEW.html beginning Thursday, September 30, and continuing through Friday, October 29. 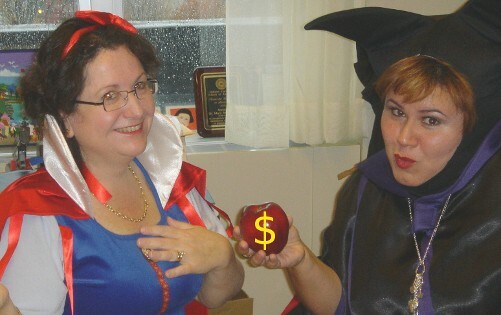 Another egregious violation of faculty governance policy at the University of Minnesota. Under Cerra’s watch, the medical school suffered what critics call embarrassing ethical lapses between its physicians and industry. The school’s proposed conflict-of-interest policy has been slammed by people who say it doesn’t go far enough, as well as those who claim it will stifle innovation and business ties. Here lies the conflict of his career: Dr. Cerra, who retires at the end of the year, has worked hard to position the university as both a research powerhouse and a major catalyst for economic development. But whether a university still haunted by major government sanctions more than a decade ago can pursue its agenda — and preserve its integrity — is very much an open question. ...the state’s financial woes could hamper the [biomedical discovery] district. The university already has scaled back the project: instead of constructing separate buildings for cardiovascular and cancer research, the school plans to build a facility that houses both departments. The district’s success also depends on recruiting world-class scientists and researchers. That requires money. Lots of it. Cerra also was instrumental in creating The Minnesota Partnership for Biotechnology and Medical Genomics, a joint venture between the university and Mayo Clinic. State officials had hoped the partnership, founded in 2003, would create companies and jobs, but the partnership’s progress has been modest at best. Cerra’s tenure also has been marked by serious legal and ethical woes at the medical school. In 1994, a federal court sentenced Dr. Barry Garfinkel, a former director of the school’s Department of Child and Adolescent Psychiatry, to prison for falsifying documents related to clinical trials of the drug Anafranil. In 1995, a federal grand jury indicted Dr. John Najarian, a renowned transplant surgeon, on charges of fraud, theft and tax evasion relating to the illegal sale of ALG, an experimental anti-rejection drug. Although the Food and Drug Administration never approved ALG, the school’s surgery department, which Najarian chaired, sold $80 million-worth of ALG throughout the 1970s and 1980s, with much of that money benefiting the university. A jury acquitted Najarian the following year, but the damage was done. The school paid $32 million in fines, and the National Institutes of Health placed severe restrictions on the university’s freedom to use research money. The Najarian scandal, observers say, severely curtailed the school’s appetite for pursuing commercialization deals with outside companies. Has it though? As the university rebuilds its ties to the business community and aggressively pursues commercialization, the medical school has once again suffered from perceived ethical breaches. Last year, the Star Tribune in Minneapolis reported that recently released court documents showed AstraZeneca, the maker of psychiatric drug Seroquel, claimed the drug was superior to standard treatments for schizophrenia even though it knew the research did not back the claim. Dr. Charles Schultz, chief of psychiatry at the university, had presented research to a medical conference that backed AztraZeneca’s claims. Schultz claims the company never shared its concerns with him. In 2003, a St. Paul woman sued the university, accusing the school of forcibly enrolling her son in an AstraZenca-funded clinical trial involving Seroquel. The man later killed himself. An FDA investigation ultimately found no evidence of wrongdoing, and a federal judge dismissed the lawsuit. The list goes on. Dr. David Polly, an orthopedic surgeon, drew fire for his consulting deals with Medtronic Inc. The Star Tribune reported that Dr. Leo Furcht had funneled university grant money into a company he ultimately sold for nearly $10 million. Furcht had been serving as co-chair of a task force drafting new rules on conflict-of-interest problems. Deborah Powell, who had appointed Furcht to the task force, ultimately stepped down as dean of the medical school. She was replaced by Cerra — the first person to head both the medical school and the academic health center. Cerra has steadfastly defended the school’s need to collaborate with outside companies. Nevertheless in August, the academic health center released new rules governing potential conflicts of interest between personnel in its medical school and business interests, including drug and medical device companies. All of the people covered by the health center’s new policy must report their financial interests, as well as executive positions and board memberships, to the university annually. The dollar threshold for triggering a conflict-of-interest review by an internal committee is $5,000 at the academic health center, compared with $10,000 for others at the university. Cerra praises the new policy, but others aren’t so happy. Gary Schwitzer, a former university health journalism professor recruited by Dr. Furcht to serve on the task force, said the school rushed the process. The result was a watered-down policy that omits key recommendations, such as banning industry efforts to fund education events for faculty, Schwitzer said. Cerra has largely escaped the turmoil unscathed. Even faculty members who have been openly critical of Cerra declined to comment for this story because of his impending retirement. Schwitzer, who now runs the HealthNewsReview blog, said he does not know Cerra personally. However, holding top university officials like Cerra and president Robert Bruininks (a Cerra ally who’s also retiring) accountable for the medical school’s problems is perfectly legitimate, he said. “Somebody has to be responsible,” Schwitzer said. 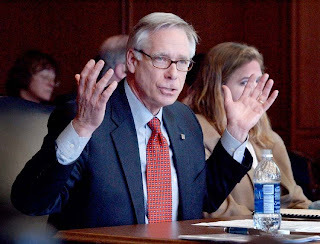 It doesn’t sound like some members of the Legislative-Citizen Commission on Minnesota Resources are buying the assurances today of Dean Al Levine of the U — or those of President Bob Bruininks yesterday — that no censorship or self-censorship was involved in the pulling of Troubled Waters. We have done some requests for proposals (in which) I’ve been very surprised that we haven’t got people saying, “I want that money.” Particularly in waters. … We need to go back and ask, “Why didn’t we get scientists asking us for money? The elephant in the room is, I think chilling. I don’t think it was a process. I think it was a kind of self-censorship. But it is curious to me – more than curious – that we have had requests out there with real money, and we haven’t gotten anybody to say, “Hey, I want some of that money” for solving some of the problems we’re talking about. I agree with that. And I think there is filtering that occurs, and it’s almost this institutionalized problem that we need to get to the root of. Last week I talked to probably 15 different people about the film, from the dean and professors … and…you know the first thing I found was when the vice president for communications (Karen Himle) calls, you jump and say, “How high?” on the way up. And it filters people’s opinions whether they really recognize it or not. And when it’s filtered around a denial of the problem, that’s a real dilemma. So we need to have that discussion, I think, and ask some serious questions about the University administration and maybe other agencies. I don’t know. We have a Century Farm. And I’m scared. I’m really concerned, and the latest thing with the University of Minnesota really scared me. Because what I face in my community is what I term an ‘institutional denial’ about the impacts. There’s nobody listening that’s managing the land. And it really scares me that a public relations person (with) a single-minded view that doesn’t want to disparage anybody would think that it would be OK to squelch the discussion. I think sometimes we have to remember where the bulk of their funding comes from. If you’re doing drug testing, it comes from the drug companies. If you’re doing agricultural research, it’s coming from agriculture – the big ones, Cargill and the rest. I mean, you’re only going to answer the question they’re asking. You’re not going to look at the collateral damage, the externalities, because they don’t want to know that. So you’re not going to do stuff you’re not getting paid for. My wife said, “Now everybody’s battle lines are drawn. So I know what people are going to say on both sides of this.” And that’s a consequence of that University decision that I’ve already seen. I have farmer friends who say, “I don’t want to see the film that vilifies agriculture.” So there was a blunder that is deeper than just that one thing, and it’s something they need to understand as public relations people – the consequences of their efforts. If I look I can find faults on each side of that. … I don’t think the film was that bad. I can be on either side of that. It doesn’t hurt to show it. Are we really farming the land, or are we farming subsidies? Farmers are at the mercy of what the next Farm Bill is going to be. And (the film) pointed that out. It was balanced. I didn’t feel negative one way or the other. I just thought: “This is the way the world is. … It isn’t (just) the farmers’ fault. It isn’t (just) the cities’ fault. We all own what we do. Pointing it out is OK. There are some alternatives shown (to environmentally damaging farming practices). 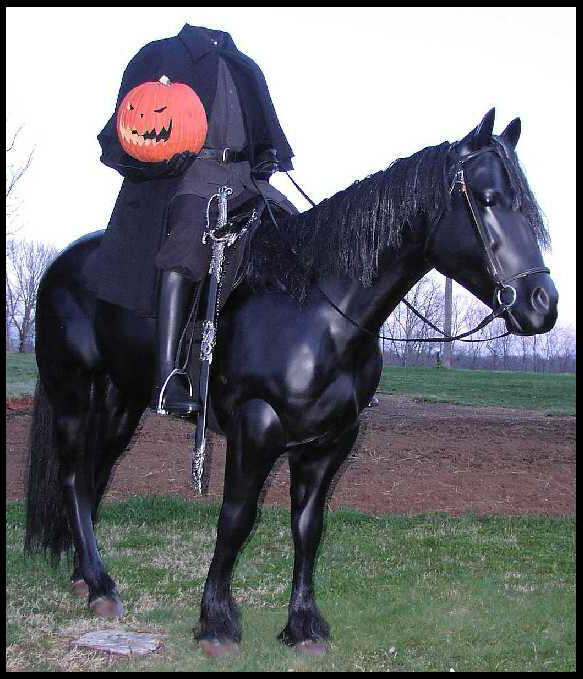 That was what was bright about the movie. Discrepancies in the Troubled Waters Story? After reading University of Minnesota President Robert Bruininks’ take today on what happened in the Troubled Waters’ flap, I noticed that it doesn’t seem to mesh with what Bell Museum Director Susan Weller told us. The main question: Who originally pulled the plug on the Twin Cities Public Television airing of Troubled Waters? It is important for me to acknowledge that Vice President Himle was asked by the Bell Museum to review the film, and she raised questions and concerns about it in her capacity as Vice President of University Relations. So did the Bell tell Himle? Or did Himle/the university tell the Bell? Or is something missing from these two accounts? My own question for the president: Did you discuss the pulling of the film with Ms. Himle prior to the decision to do this? After more than a week of bad press and internal and external pressure, the University of Minnesota announced last week it would be premiering the film Troubled Waters as originally planned. Applauding this sudden turnaround were U of M faculty, students, and staff, many of whom had expressed their displeasure with the university's decision to halt the premiere. On blogs and in classrooms, they called the move censorship by the university. "This should've never happened in the first place," said Christine Marran, associate professor of Asian Languages and Literatures ... "The main point for me and all faculty is that this kind of thing undermines faith in the process of academic freedom," said Marran. "This cannot go without scrutiny," he [Jon Foley, the director of the U's Institute on the Environment] said. "We must clarify roles and responsibilities. And we also need to know just what happened here in order for academic freedom to be absolute and never again compromised like this." 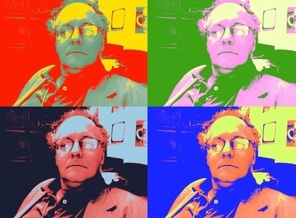 "What it reveals," Rhoades [Gary Rhoades, the AAUP general secretary] said, "is that the community can have an impact on the university in fulfilling its public good responsibilities. And internally, research and monies should focus on the core aspects of the institution." In other words, Rhoades said, a land-grant institution shouldn't just serve the highest bidders. 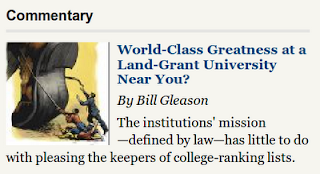 Post in Chronicle of Higher Education: "World-Class Greatness at a Land-Grant University Near You?" – Mike Banker, communications manager for the Legislative-Citizen Commission on Minnesota Resources, which oversees close to 70 percent of the funding of the film Troubled Waters. A couple of University of Minnesota staffers are taking that message back to the mother ship after attending today’s meeting between Bell Museum officials, film co-funder McKnight Foundation and the commission. The groups met to hash out the circumstances that led to the Bell’s (now-reversed) cancellation of the premier of the river pollution documentary Troubled Waters. As you recall, Bell Director Susan Weller said she canceled the museum’s showing of the film after the U announced it was pulling the film’s public television air date, ostensibly out of concern for balance and scientific accuracy. It looks like the U administrators that caused the whole mess still haven’t talked to the commission about the affair. And I get the vibe that commission members are a bit miffed over it. That’s understandable, considering the commission is overseeing the lion’s share of the film’s funding, is giving the U roughly $7.7 million for various projects this year — and is scheduled to hand out another $6.6 million or so next year. Bell officials also told the commission “they would be doing some soul-searching — for lack of a better word — to make sure something like this didn’t happen again,” Banker said. The Bell Museum doesn’t appear to have been involved in the decision to pull the Twin Cities Public Television broadcast, Banker said. Yet through this whole affair, the U has focused too much on the Bell’s role in the matter and not enough on its own handling of it, Banker said. Commission members will meet in the middle of next week to discuss the Troubled Waters affair, the “breach of trust” that occurred with the university, and how that trust can be mended, Banker said. A film's near-suppression raises questions about the U. When the head of the University of Minnesota's public-relations department, Karen Himle, canceled the release of the film "Troubled Waters" earlier this month, the university did more than deny the public insights into how agriculture can play a positive role in improving water quality. It sent a troubling message to the people of Minnesota: At a public land-grant institution in which we all own a share, certain topics of discussion are taboo. The quashing of "Troubled Waters" goes beyond one film or the issues it covers. It goes to the heart of whether the U is truly a public institution that is "driven to discover," even when what is discovered could upset certain special interests. On Thursday, the U announced that the film had in fact been properly vetted and would be shown as scheduled. That's great news for the viewing public. But the troubling fact remains that a serious attempt was made by a public land-grant university to censor the dissemination of scientific/environmental information. Only through such a free exchange of ideas will we adapt in a rapidly changing world. University officials claim that there was no outside pressure to cancel the original premiere of "Troubled Waters." If that's true, the situation is even more troubling: It means U officials practiced self-censorship. U of M President Robert Bruininks has over the years spoken eloquently about the need for the public to support the university. In fact, the U is in the process or considering a new conflict-of-interest policy that he hopes will hold the institution "accountable for our conduct" while building a "highly ethical culture." The public outcry over the pulling of "Troubled Waters" shows that the people of Minnesota care enough about the U to correct it when it doesn't fulfill its mission. Bruininks needs to show that as a world-class public university, the U can use this controversy as an opportunity to demonstrate world-class respect for the people it serves. Now Bruininks needs to undertake a full review to ensure that this kind of censorship does not take place again. George Boody is executive director of the Minnesota-based Land Stewardship Project. The dispute over the commercialization of SweeTango, a new apple developed at the University of Minnesota, is not just a brouhaha in a bushel basket. It has important implications for the way we pay for and perform research and disseminate new technology in an era where taxpayers are less willing to foot the bill. The specific issue is that university researchers developed a new apple, the SweeTango, that promises to be a big commercial success just like the Honeycrisp, one of its parent varieties. The current controversy stems from the fact that the university signed an exclusive agreement with the state's largest apple grower, Pepin Heights Orchard in Lake City, to commercialize the new apple. Pepin Heights in turn formed a marketing cooperative of 45 growers in five states and two Canadian provinces to grow and sell it. Other Minnesota orchards also can grow the apple, but they face limits on how many they can grow and how they may sell the fruit. Some of these growers have filed a lawsuit alleging the exclusive agreement and marketing restrictions violate federal and state laws and run counter to the historic mission of the agricultural research and extension system. That system, consisting of land-grant universities, agricultural experiment stations and the federal-state-county cooperative extension service, has added tremendously to the wealth of our country over the past 148 years, belying the now-commonly held but erroneous view that government cannot create wealth. Framers of the U.S. Constitution recognized that it was important to promote "the progress of science and useful arts" and, in Article 1, Section 1, gave Congress the power to issue patents and copyrights. But 70 years later, it was clear to many that even with these legal incentives to innovation, a free market would not produce economically optimal levels of technology research and dissemination. And so Congress passed the Morrill Act granting federal lands to states to fund colleges of "agriculture and the mechanic arts." Ongoing federal funding for agricultural research and extension eventually followed. All this took place before any formal economics of research and technology transfer. But these actions were fully congruent with modern theory. Much scientific research is what economists call a "public good." That means without government action, it won't be produced in sufficient quantities for an economy to reach optimal efficiency. This was particularly true for agriculture, because unlike for patentable machinery, it is impossible to keep new varieties of plants or new farming techniques from spreading to everyone. In the 1870s, if Corliss designed a better steam engine or Singer improved the sewing machine, these companies could get patents that allowed them to reap financial benefits from their research and engineering. But before the development of hybrids whose seeds did not reproduce the parent plant, any seed company that developed a new variety of corn would be unable to prevent corn growers from passing seeds from their crop on to other growers. In any case, government support of agricultural research and extension fostered productivity growth that greatly aided overall economic growth in our country, just as it is doing for Brazil right now. Federal and state funds supported teaching, research and extension with new technology made available to all at no cost. When we finally got around to funding basic and applied research in physics, chemistry and other fields, largely as a result of World War II, the Cold War and the space race, we found this also boosted productivity and economic growth. So did government funding of bio-medical research. Our economy would have grown faster if we had started such government funding earlier. But things have changed. We no longer are willing to fund many sorts of research at past levels. Some of this is justified by changed circumstances. Once corn was hybridized, farmers could not save their own seed for replanting; the private sector took over much corn breeding because it could charge enough for superior varieties to recoup research costs. The same is true for some genetically modified plants. But taxpayer reluctance to support the effort is another reason for the funding cuts. 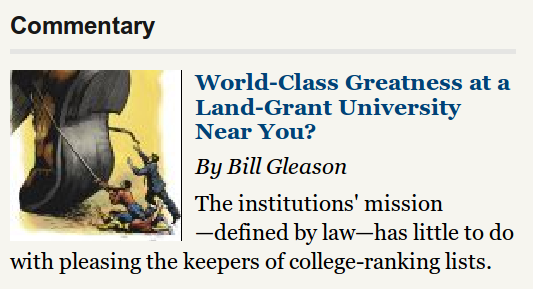 This puts land-grant universities in a bind. The University of Minnesota has more than a century of experience developing fruit varieties for cold regions. No private company matches that, and it's unlikely a private firm would spring up to tackle the task if the university terminated its program. The same is true for its research on wheat diseases and myriad other problems. Changes in patent law allow developers of plant varieties to charge users for improved genetics. Minnesota patented the Honeycrisp apple and earned some $8 million in royalties over the past two decades. But once public institutions that still receive state and federal funds start to charge for technology they produce, questions of fairness inevitably arise that would not apply in transactions between two private companies. The University of Minnesota violated a former dental student's due process rights last year when administrators upheld his two-year suspension by a student judicial panel without considering evidence he had proffered, a state appeals court judge ruled Tuesday. "The record reveals that the university has no standards or guidelines for sanctions to be imposed by the provost for violations of the student conduct code, nor could the parties articulate one to this court." The provost’s decision to strictly relate the sanction only to the seriousness of the offense is suggestive of the strictures of criminal law, but this is not a criminal case—it is a student disciplinary matter, which is subject to different considerations. Berge’s proffered evidence was relevant to assist the CCSB in making a reasoned decision, and as such it should have been admitted into evidence by the CCSB and considered in reaching its decision. In student disciplinary matters, the welfare of the student and the interests of the university are both important, and the effect of a sanction upon a student is a proper factor for consideration. The decision by a judge on the state Court of Appeals came in a case in which the university's Campus Committee on Student Behavior suspended Noah Berge after concluding that he had engaged in “[t]hreatening, harassing, or assaultive conduct" against a female student who had accused him of sexually assaulting her. Although an advisory committee to the university's provost found that the judiciary panel had violated his due process rights by barring him from preventing evidence about the impact a suspension would have on his career, the provost reinstated the panel's ruling. The provost's decision was "arbitrary and capricious," the appeals court judge said, because the university lacks guidelines for disciplinary actions by the provost, among other reasons. The judge ordered Minnesota to give Berge another hearing before a new student behavior panel. Brian DeVore, communications coordinator for the Land Stewardship Project, said the U's decision to now move forward with the film indicates that it listened to the public outcry and will not stand for censorship. "But now more than ever it's clear that the film was not pulled because of concerns over its scientific accuracy," he said, and the U still needs to answer questions about transparency and possible conflict of interest. "It's been a dreadful situation for all of us," Weller [Bell Museum Director] said of the controversy. "Well-intentioned people made mistakes and there will need to be some kind of review of our internal procedures. The university is kind of like a big, messy family. We get along but we have our tiffs and when it goes public it's not pretty." Legislators were also raising concerns Thursday about damage to the U's reputation, especially because several administrators including Himle did not answer questions for days. "She shouldn't have made this decision in the first place," said Rep. Jean Wagenius, DFL-Minneapolis. "The challenge for the university is that its PR expert is at the center of a PR fiasco," said Rep. Alice Hausman, DFL-St. Paul. "This gets at the heart of academic freedom about an academic product." Executive summary: Bell Museum Director does not know. Calls for those involved in decision to 'fess up. MPR’s Tim Post spoke this evening with Bell Museum Director Susan Weller after the announcement that the University would indeed show the environmental documentary Troubled Waters. I’m not a micromanager. When I requested the documents, they were not made available to me immediately. (I requested them) Sept. 8 or 9. I started receiving (them) Monday the 20th. I was overseas, so it would have been difficult for them to ship it to me overseas, I suppose. … As of Monday I have been receiving documentation I had requested. And I’ve been taking time to review parts of it. I’ve had the staff explain to me their procedures for fact-checking in detail. I felt when the scientific accuracy of the film was questioned by others, I needed to be able to stand by the product. I finally received all of the material late last night/this morning, so I (am) able to represent this film as being thoroughly fact-checked. It looks bad, and I would just say we’re kind of a big, sometimes dysfunctional family, and we need to have that weekly family conference once in a while to get us all back on the same page. I think there will be a lot of people, myself included, reflecting on how we could have done a better process, and how this could have been handled better. But we’re so in the moment. I really can’t comment on what happened specifically or what I’d do differently. It’s been very intense these past few days. That’s a piece of information I simply don’t have. I’ll leave it to those who were involved in that decision to self-disclose. any necessary changes in procedures so that such a situation doesn’t happen again. As organizations working in the interests of farmers and the environment, we were appalled by the University’s recent decision to cancel the premiere of the documentary “Troubled Waters: A Mississippi River Story.” This decision, and the lack of transparency surrounding it, causes us to question the University’s commitment to truth-telling and academic freedom—two pillars of a public University. The University’s unwillingness to speak openly to either the news media or to the movie’s funders about the reasons for the film’s cancellation has led to a great deal of speculation surrounding the decision. According to multiple media reports, including the /Star Tribune,/ Vice President of University Relations Karen Himle canceled the film abruptly without informing any of its nonprofit and public funders beforehand. We are deeply concerned about conflict of interest on the part of Vice President Himle, as well as assertions that outside influences may have played a role in this decision. Subsequent reasons given by the University for stopping the film from being shown included misleading statements, such as the assertion that the film’s public funding required further review of the film, a position that the Legislative-Citizen Commission on Minnesota Resources has repeatedly said is untrue, and that the University has now dropped. As a land-grant university, the University of Minnesota should be committed to serving all Minnesotans by providing them with accurate, scientifically based information on our agriculture and the environment. According to those that have reviewed the movie—including leading UMN scientists and the LCCMR—“Troubled Waters” is fair and accurate. Whether the film’s content pleases everyone is irrelevant. · move forward with the October 3 premiere of “Troubled Waters” at the Bell Museum and the scheduled October 5 TPT airing of the film. · ask for the resignation of Vice President Himle if she is deemed responsible for the decision, as reported in several media accounts, and appropriately discipline others involved in making this decision, which was ethically and professionally wrong. · implement a review of university policy to ensure transparent and conflict of interest–free decision making on the part of University administrators going forward. We also suggest that the University plan a post-film forum at the Bell Museum on October 3, where those who have concerns about the movie can talk alongside those who felt it struck the right balance. If the university expects to be a trusted source on these issues in the future, it must become more transparent in how it makes decisions and sets priorities. We look forward to working with the U to make these improvements, and trust that you will keep the interests of all Minnesotans in mind with this and future decisions. Handling of Her Film "Troubled Waters"
The university's initial explanation for canceling the premiere -- that the film was somehow scientifically inaccurate -- was baffling. Standards of accuracy, balance and fairness were applied to "Troubled Waters," consistent with my 26 years of experience working at places such as "Smithsonian World," National Geographic Television and the NOVA science series. President Bruininks and Dean Al Levine should also make public apologies to her at the premiere of the film at the Bell on October 3. MINNEAPOLIS / ST. PAUL (09/23/2010) —The University of Minnesota has announced that the film “Troubled Waters” will be available today. A showing of the film will take place at the Bell Museum on the originally scheduled date of Oct. 3. A discussion of the film will follow the showing. Professor Susan Weller, director of the Bell Museum of Natural History, has this week obtained and had an opportunity to review documents that indicate that a review process for the film had taken place. After reviewing this material, Weller has concluded that there is no longer a need for an additional faculty panel to review the film as announced on Sept. 17. The film is being made available today in the form it was in prior to that announcement. The gall of these people, the unvarnished gall. How about saying, "We're sorry, we really messed this up. We apologize to the University community for the damage we have done to the reputation of the University by this botched attempt at censorship." On September 17 the U of M issues a press release that includes a quote from the director of the Bell Museum that declares the standard procedure of having one researcher oversee a project for "scientific integrity" was not followed for Troubled Waters. Then on September 23 the U of M issues a second press release in which the director of the museum confirms that the required review process had indeed been followed. 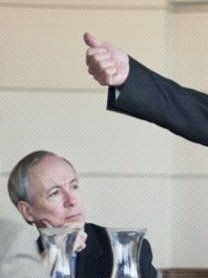 So what does the U of M say to the producer and director of Troubled Waters for besmirching their reputations by the previous statements of the director of the museum, the vice president for University Relations, and the dean of the agriculture school? Not a word. As attorney Joseph Welch said to Senator Joseph McCarthy in June 1954 when McCarthy insinuated that a young lawyer in Welch's firm might be a Communist sympathizer: "Let us not assassinate this lad further, Senator. . . . You've done enough. Have you no sense of decency, sir, at long last? Have you left no sense of decency?" The public clearly isn’t happy about the University of Minnesota’s censorship of Troubled Waters. Yesterday, the Land Stewardship Project, a private non-profit advocacy group for small agriculture, called for the resignation of Karen Himle, the Vice President of University Relations who called TPT to cancel the documentary’s October 5 airing. In an e-mail exchange with the Editorial Board, University spokesperson Dan Wolter said that Himle will not be involved in the second round of scientific review of the documentary, which is good, considering her ties to the Minnesota Agri-Growth Council. The University’s explanations of why it censored the film have been changing as frequently as the weather, and we thought it’d be valuable to put Wolter’s official explanation to us on record. In it, he notes that Himle indeed made the call to TPT to cancel the film’s airing, but that doesn’t mean it was her decision. “As I’m sure you can appreciate, the person who makes the telephone call is not necessarily the one who made the decision,” he writes, without outright saying Himle is indeed one of those people. She was, however, the person who called Al Levine, CFANS Dean, on Labor Day weekend, who Wolter notes was one of the officials who wanted to pull the film, along with the Bell Museum’s director. 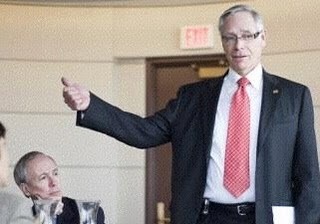 Levine also has ties to the Agri-Growth Council, and, as David Brauer of MinnPost.com reports, the University has booted a story critical of big ag. before. The e-mail was prefaced with this question from us: “We were curious why you told TC Daily Planet—in its initial report—that the Bell Museum was responsible for halting the film's release, when, on the same day, the Strib reported that it was Himle’s call. Don't you two work together?” (The Strib report was actually a day after the TC Daily Planet story that broke the issue). “The review being assembled now is a scientific review, so those involved will have primarily scientific backgrounds. Vice President Himle will not be part of this process. As Bell Museum Director Weller has said, upon further review, it was determined that this project did not follow the typical process the Bell Museum uses for exhibits and productions, which is a researcher to oversee the production’s scientific integrity from beginning to end. This review doesn’t have any pre-determined outcome, but is simply intended to correct an oversight. And second, my comment to TC Daily Planet was indeed correct. As part of being reviewed by a number of offices, concerns were expressed about the scientific accuracy, objectivity and balance of the production -- as well as whether it was responsive to the legislative appropriation. Your own paper today has a number of academics who expressed those concerns. The decision to postpone the premiere was indeed done by Bell Museum director Weller and Dean Levine (to whom the Bell reports) in consultation with others (including Vice President Himle and others, including those quoted in today’s Daily). In it, the second paragraph was underlined, save its last sentence. It's a statement from Dr. Susan Weller, director of the Bell Museum. “Our standard procedure at the Bell Museum is that our exhibits and educational products have at least one researcher who oversees the project’s scientific integrity from inception to completion. Unfortunately, this procedure was not followed by the Bell Media unit for production of the documentary, ‘Troubled Waters: A Mississippi River Story." Molly Priesmeyer of the Twin Cities Daily Planet, who saw the film, notes that the University hasn't responded to a Daily Planet request for a copy of documents outlining that policy. Being Dan Wolter means never having to say you're sorry? In an interview for this column, Wolter said that he works hard to get the Daily the information it wants as quickly as possible, despite large numbers of requests. (Disclosure: I have an in-law who works at the News Service. We don’t discuss these issues.) Wolter said he treats Daily journalists as professionals while helping educate them about access to information. Sounds reasonable. But Wolter could use at least as much educating. Professional journalists usually aren’t forced to communicate with public information offices only through e-mail, as Wolter generally demands of Daily reporters. It’s a system that inhibits good-faith communication and reasonably quick access. Most professional journalists aren’t pressured to go through one office to cover, on a daily basis, a community of more than 60,000 people — only to be chastised for being a burden on that office. It’s a petty claim that would be fodder for jokes in most newsrooms. But for Daily reporters, it’s another reminder of who wields the power. Ms. Tonneson [Office of Budget and Finance] reviewed data related to the University's existing base appropriation and scenarios requested by the state (cuts of 5%, 10%, and 15%). They are looking at the implications of those three levels of cuts for both the existing legislative base (increased above the actual appropriation in the last session) and the actual base (which is lower). a 15% cut in the actual appropriation (a cut of $279.5 million) would require an 11.8% tuition increase to offset it. Ms. Tonneson emphasized that neither she nor the Budget and Finance office are advocating tuition increases; they only point out the implications of any reductions in state funding were the University to consider tuition as one way to offset the cuts. Is this a threat by the administration that a cut will lead to tuition increases? Suppose the tuition increases actually occurred. Where would the money go? Would it go to educational expenses or elsewhere? And how would we ever be able to figure this out? When will the charade in Morrill Hall end? When will we know the relationship between tuition, the state contribution, and the actual cost of education? How can we ever decide whether a tuition increase is justified? Perhaps keeping us in the dark about all these questions is what Morrill Hall wants? – State Rep. Jean Wagenius, co-chair of the Legislative-Citizen Commission on Minnesota Resources, commenting on the fallout from the U’s pulling of the Troubled Waters environmental documentary. The commission oversees close to 70 percent of the funding of the film. Here’s the background to the quote I just posted — from DFL state Rep. Jean Wagenius, who helps chair the Legislative-Citizen Commission on Minnesota Resources, a legislative body that oversees close to 70 percent of the funding of the film. I got in touch with her because in this whole Troubled Waters affair, we’ve yet to get much reaction from the legislature. The film is a taxpayer-funded project, but as far as I’ve heard and read, as of last night the University of Minnesota had yet to officially explain to its funders or legislative sponsors why it canceled the film’s premier at the last minute. That hasn’t won friends among politicians, it seems. “The U’s reputation is suffering,” she said, and she’s concerned that the story could go national. It has already been picked up by news outlets such as the Chronicle of Higher Education, the leading publication in higher education circles.